This fantastic, newly constructed country house is located in the district of Oberfelbern in the renowned town of Mittersill. The house contains a variety of apartments. Your apartment is located on the 1st floor and is luxuriously and tastefully furnished. You have a large living room with an open-plan kitchen at your disposal as well as three large bedrooms and two modern bathrooms. 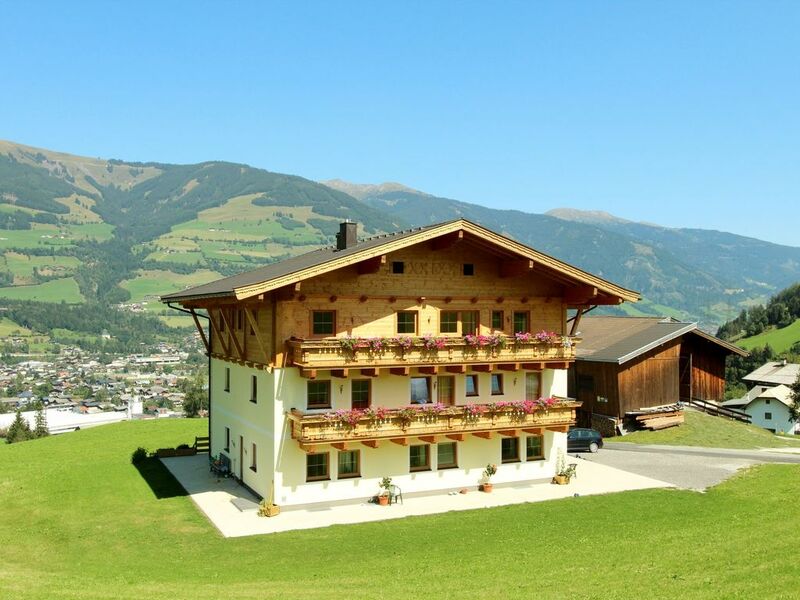 You have a breathtaking view of the mountains in Hohe Tauern National Park from the balcony. The view of Mittersill is truly unique, thanks to the slightly higher elevation here. Mittersill is popular in the summer due to its many activities and central location. The immediate vicinity offers many options for hiking and mountain sport, as well as an 18-hole golf course. You can also explore the entire area by bike on the Tauern cycle route. You can go for a refreshing dip in the nearby Hollersbacher See. Whether downhill or cross-country skiing, snowboarding or ski touring, everything is possible in the wonderful Kitzbühel ski area, and the lifts are within easy reach with the free ski bus and the ski train. You can go tobogganing, snowshoeing or for a sleigh ride anywhere in the area. After a day of skiing, it's a lot of fun to go on an evening toboggan ride on the longest natural toboggan run in Europe (14 km) in nearby Bramberg - there is even a free 'toboggan train' that runs on Friday evenings. Stunning, beautiful . Spotless ! Made my family feel right at home! Kathrin has been amazing and everyone at the house is super friendly and helpful. Luna the dog is a sweetheart, the views are amazing, local walks are beautiful, and easy access to town with mellow living up on the hill. Perfect for us. Kathrin even did our laundry for us!! Aankomst was goed. We zijn netjes ontvangen. Gemütlich, sehr guter Zustand, gute Lage, gerne wieder. Wanderurlaub im Herbst mit 2 Erwachsenen, 3 Kindern. Das Appartment ist im 1. Stock des Hauses. Unten wohnen die Vermieter. Das Appartment ist gut und gemütlich ausgestattet. Die Ausstattung ist neuwertig. Die Vermieter sind sehr nett. Zum Ortskern Mittersill mit Geschäften und Restaurants sind es ca. 1,5 km bergab (ca. 80 Hm). Sehr zu empfehlen ist das Restaurant Bräurup. Gute Ausgangslage für Wanderungen in den hohen Tauern und Kitzbüheler Alpen.